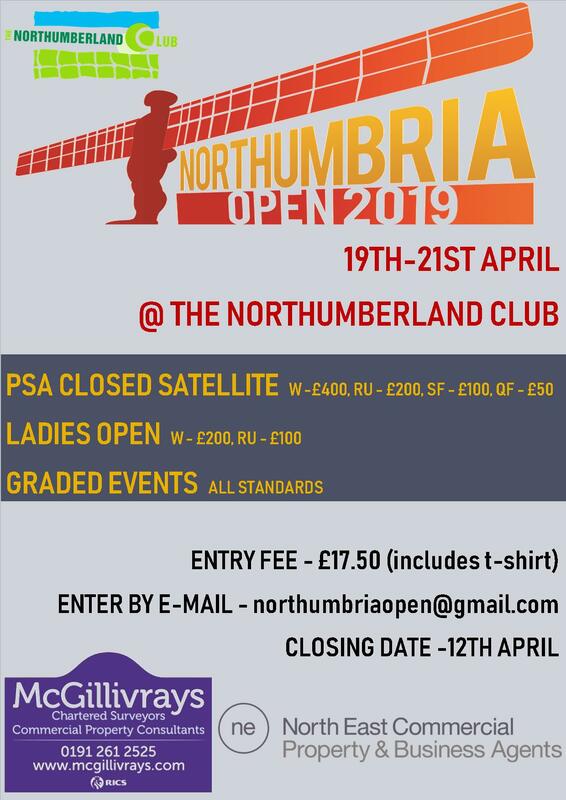 This years event took place on weekend 23rd/24th september at the Northumberland club in Jesmond with entries up for the boys events but dissappointingly lower for the girls events. 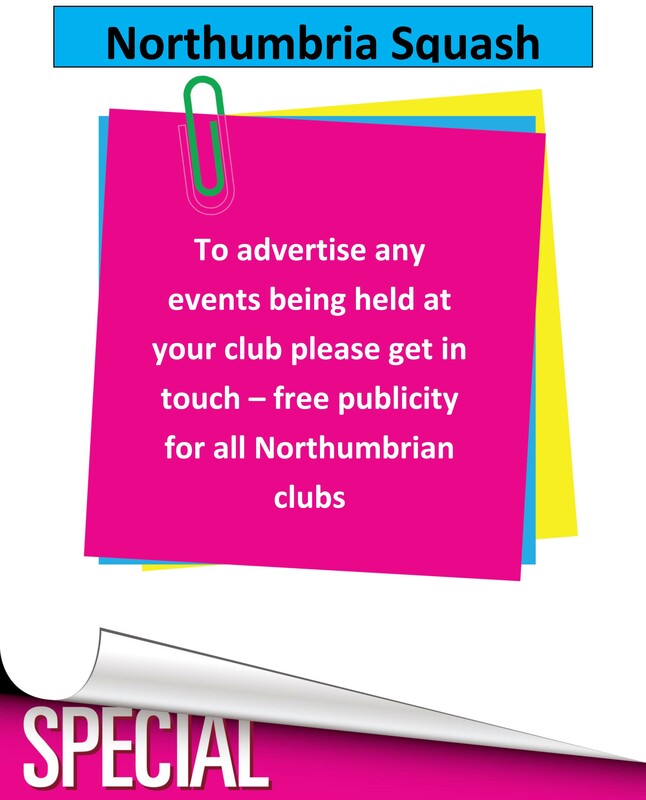 A big thanks again to IDEAL CARAVANS the major sponsor of Northumbria Junior Squash and also to SABRE SPORTS who helped donate prizes for finalists. After playing 2 other matches each in the round robin format Simon and Elliott both from Northern played the final and despite the 3-0 win for Simon it always looked as though it could have gone either way, both players look to have a good future with good skill and great temperament. With both of these players also competing in the U13 event they played in lots of games this weekend but their standard was still high in this match which was always going to be close. Maria got a good start winning the first 2 games but Lucy made a come back winning the third but Maria fought back to claim the title in four games. James always looked favourite for this event and didn’t drop a game throughout but there is not only Chris chasing him in this age group, players like Elliott Park, Stephen Twaddle, Richard Ridgeway,James o’Connell and Tom Franklin along with Chris will all be in with a shout in the following years and the age group is looking very promising. Sophie was far and away the strongest player at this age and won all her games comfortably but the upset in this event was Lucy only 9 years old beating 2 seed Jayne Oswald to make the final. Plate Final . Harry Carr (Nor) bt David Hodgson (Nor) 3-? Again Chris was big favourite for this event but was pushed very hard in the semis by fast improving David Breakey when David led 2-0 only to be edged out 9-6 in the fifth. Sean came through in an equally close semi against Dean Follin (Tyn) 3-2 . The final Chris proved too strong for the younger Sean who will be still U15 next year. Kim was too strong for Rachel in this event with a dissappointing entry. However with both players highly ranked in the country ( Kim at No1) and Rachel a year younger improving all the time the future is still bright for these girls. Great final. Close all the way could of gone either way it was a repeat of the U19 event which was also 3-1 to Dave. These players along with semi-finalists Matthew Hardy and Alex Storey played a very good standard of squash all been working hard at their squash and if the work continues all could have great futures in senior squash in the county! Kim became a double champion for second year winning the round robin event beating Hannah and sister Ashley to the title. Hannah is hugely improved and hopefully will continue with this work so to get closer to Kim for next year. Also in this round robin was Matthew Hardy who pushed both players in his matches. 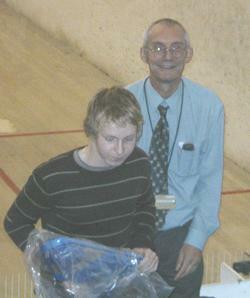 Dave played the more accurate squash but despite Richard’s energy and effort he couldn’t quite get on top. Thanks goes to all players and parents for a great event played in the best spirit! also big thanks to Sara Potter who didn’t play but was helping run the event all weekend.